I take the idea of photographing the art around all of us pretty seriously. For some of us, the art around is a city or building. For others it may be the art around a garden or park. 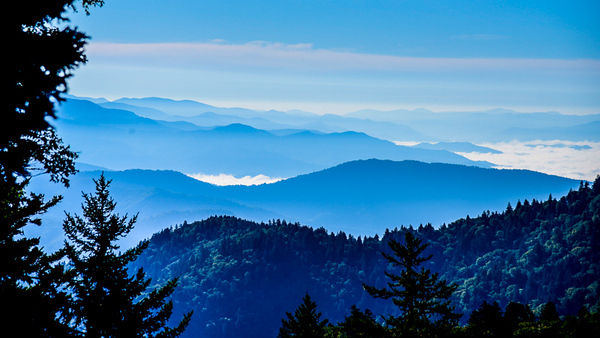 For the people of Tennessee and North Carolina it’s the Great Smoky Mountains. So, the Around Team loaded up its camera gear and a new pair of waterproof hiking shoes and headed off to Gatlinburg, Tennessee. 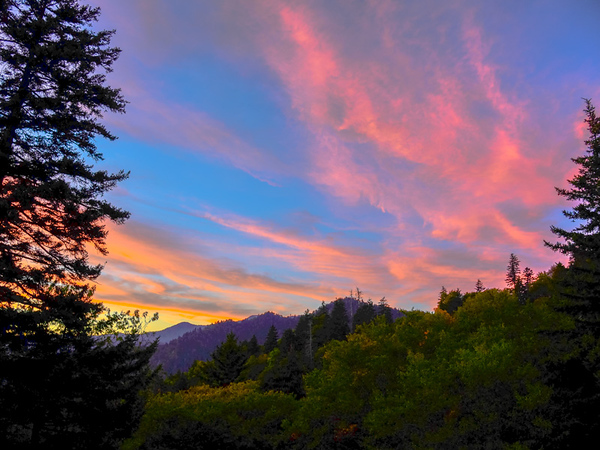 Once we arrived it didn’t take long to realize that the Smoky Mountains are a photographer’s paradise. I was literally stumbling over myself as I tried to figure out which way to point the camera. One of our first stops was the magnificent Newfoundland Gap offering incredible sunset vistas of both Tennessee and North Carolina. At an elevation of over 5,000 feet, you can clearly see why they call these mountains smoky. Our next shoot location began with a 4:30am wake-up and a solid hour drive to the highest point in the Smoky Mountains; Clingmans Dome, elevation 6,643 feet. Our hike began with a half-mile ascent to the dome in the early morning darkness with a crystal clear sky awash with millions of stars to light our path. It was absolutely breathtaking. Even in darkness the view from the dome is amazing. We looked down upon the top of a sea of clouds nestled into deep valleys created by the many peaks and ranges that surround us. What happened next absolutely took our breath away. As the sun began to cast a rosy hue upon the horizon the clouds began to rise up from the valley, wafting with the wind in an eerie dance across the mountain peaks. 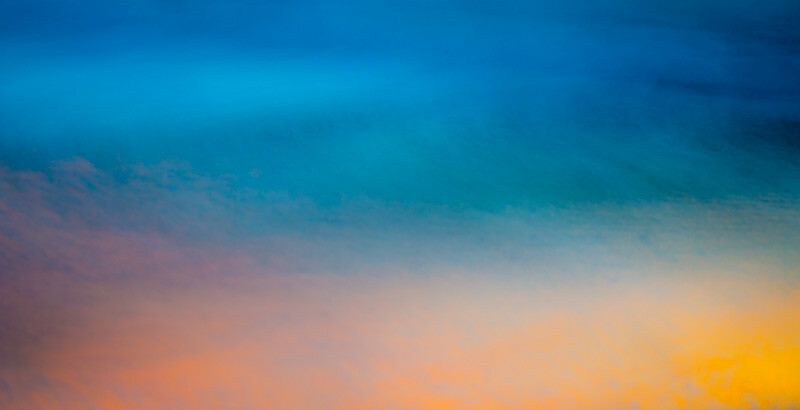 It was like Mother Nature herself was painting an ethereal portrait of color, light, and form. It was absolutely magical. Within no time at all we were fully embedded in an ocean of white. The sky went from crystal clear sky to an envelope of mist in under 30 minutes. Wow. After our decent from the clouds we ventured onto the famous Appalachian Trail. Switching camera lenses from panoramic fisheye to close in micro I began capturing the beauty that surrounds this historic trail. We continued our trek until we came upon beautiful Meigs Falls. Which because of its location required us to cross a rushing mountain stream. It was time to finally put my waterproof hiking shoes to the test. Using my tripod as walking stick I began the precarious balancing act of traversing the wet and often slippery steppingstones that offered access to the falls. It was worth the effort. 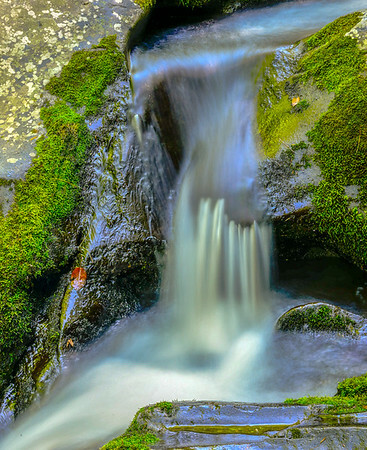 I was able to get up close and personal to one of the many cascading waterfalls that adorn the Appalachian Mountains. Another 4:30am wake-up and a new sunrise found us at scenic Cades Cove, an isolated valley of rich farmland surrounded by the massive peaks of the Appalachian Mountains. It still maintains many of the historic structures from early settlers. 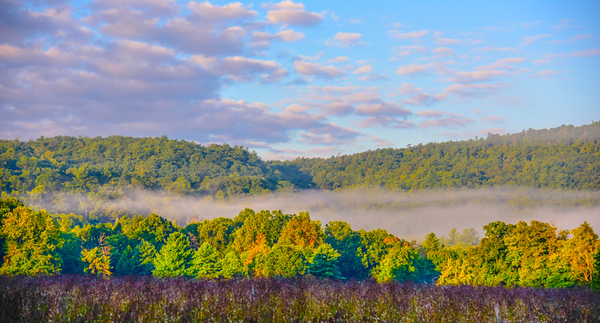 The challenge with Cades Cove is to be in just the right spot to capture the first rays of sun caressing the morning mist as it floats above fields of wild flowers. Our efforts did not disappoint. You can see why settlers made Cades Cove their home. One of the greatest challenges with this region of the country is in deciding what to shoot. There is so much richness of beauty within the Appalachian Mountains. I truly feel blessed to have had the opportunity to transverse this amazing national treasure and look forward to returning to the Great Smoky Mountains over and over again.